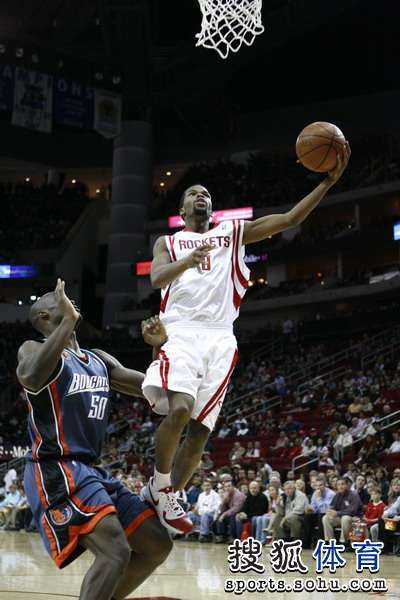 The Rockets fighting cohesively as a team for another convincing win. LOL !!! 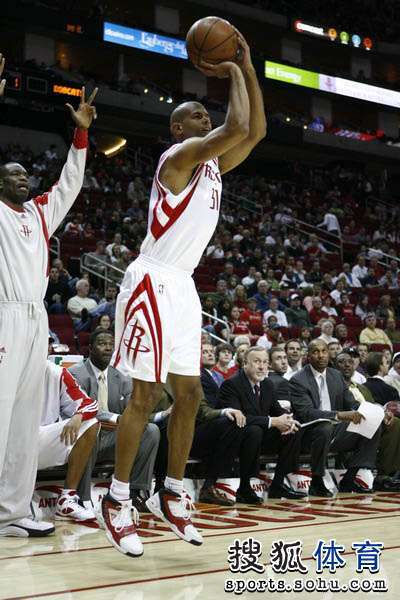 Uncle Mutombo was already standing and hurraying even when the ball had not left Shane Battier's hand. 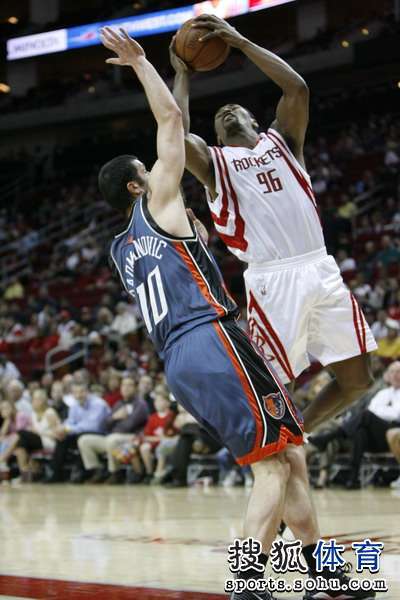 Shane had to hit that trey or else Uncle Mutombo will be p!$$ed !!! Calm down Raymond. It's just 4 assists. 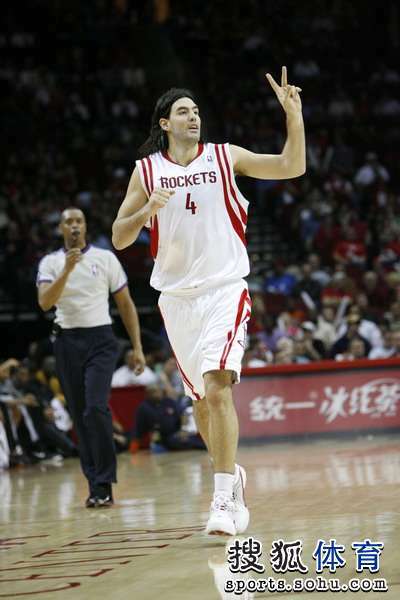 Anyway good to see Yao come out and have a strong 3rd quarter after being a non factor in the 2nd. Calm down Raymond. It's just 4 assists. 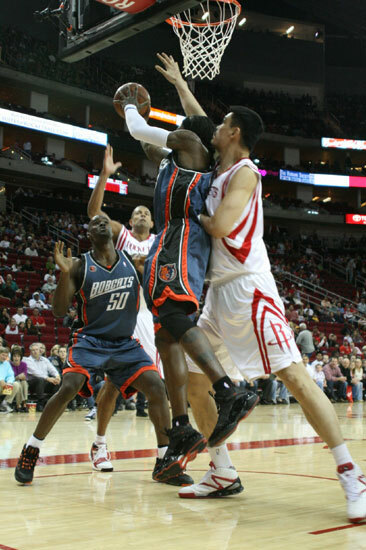 on the flip side, i remember, in a games when Yao had 10 TO's, PRY was rationalizing that 10 wasn't that much, considering how badly Yao's teammates passed the ball, protesting that it was the faults of Yao's teammates. Well put by Fran Blinebury. To paraphrase and old friend, it's on him now. Yao Ming knows that for everything he's done in his 6-plus NBA seasons, it's the next 7 weeks will define him in many eyes from coast to coast. 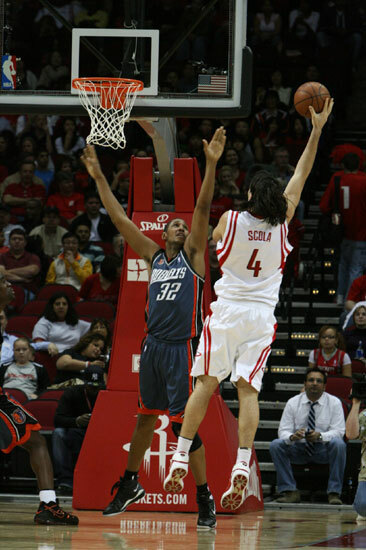 Yes, Ron Artest has to keep hitting those 3-pointers, Shane Battier has to keep defending, Luis Scola has to keep knocking over the furniture and Aaron Brooks need to learn on the fly. But it's the big man who needs to lift them all. 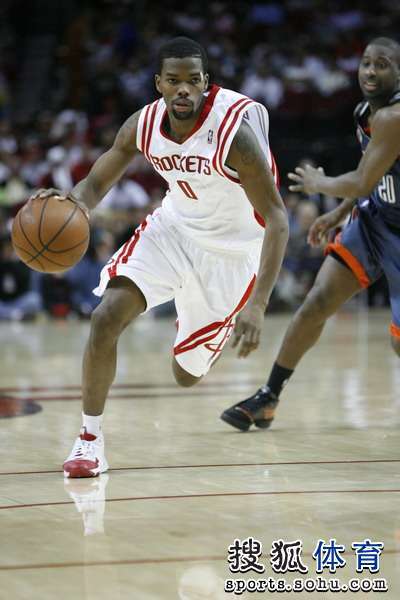 With Tracy McGrady now out for the season or until his mama burps him over her shoulder, Yao, who has always been the sun in the center of the Rockets' solar system, has to burn brighter, hotter, stronger. 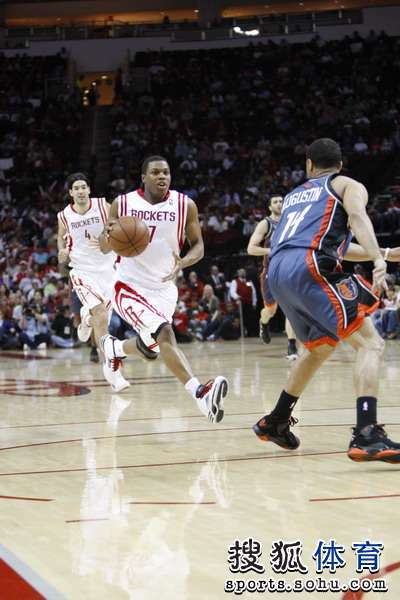 "Oh, it's all about Yao," said Brooks, the point guard with training wheels. "But we don't mind." 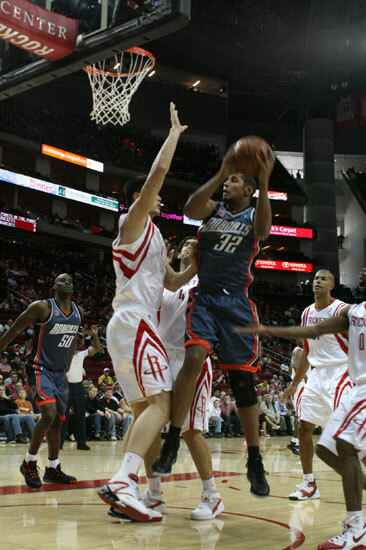 Not when the Rockets remember that they have a 7-6 center in the middle of their lineup and use him, as they did in the third quarter against the Bobcats. In the first half, the Rockets and Yao just flirted with each other and that was a lot of the reason they only held a 44-42 lead at the break. In the third quarter, they went head over heels. 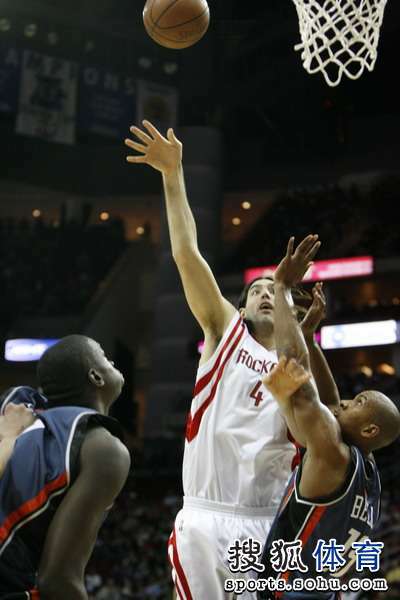 "We have some adjustments made at halftime," Yao said. 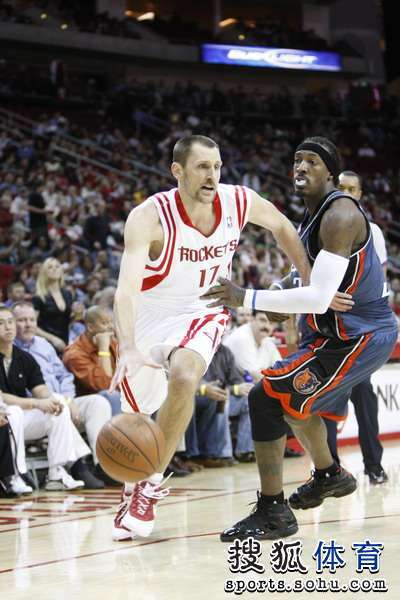 "I think I don't give them enough pressure in the paint, so I need to be a little more aggressive. Make them play me, make them double-team me, try to find the open man. That's when I was able to come out and score three shots in a row." If it was a professional wrestling match, it would have been Yao's version of putting the Bobcats in a sleeper hold and counting them out. 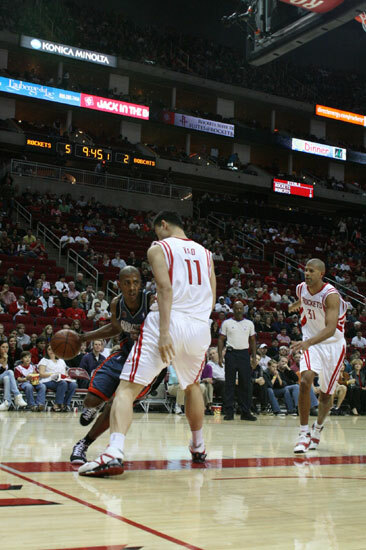 "Keep the pressure on," Yao said. He started the third quarter by posting up, drawing a foul and making two free throws. Then he took a feed from Battier for a layup. Then he hit a 5-foot turnaround fadeaway. He scored 10 points in the first 8 minutes of the third quarter and, for all intents and purposes, it was over. 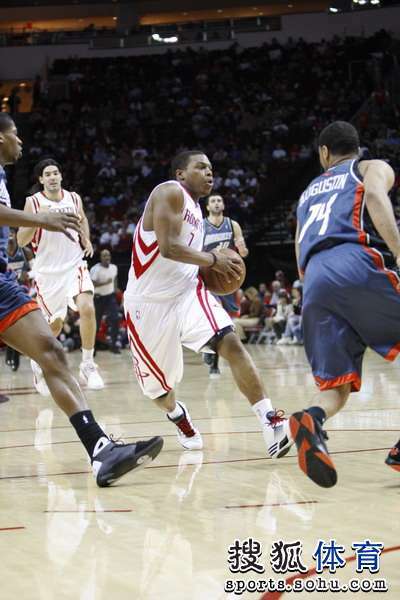 "In the second half, we did a better job of moving the ball around and when he caught it they weren't in a position to come at him as quickly and he was able to be aggressive and take it," said Coach Rick Adelman. "In the first half we didn't do that. We were kind of standing. "If we move the ball a little bit, then he gets it, he has room to maneuver. That's really what the ideal is." 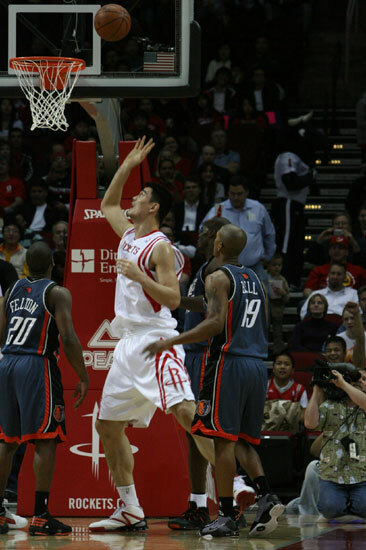 The ideal is that Yao takes the opportunity to pick these Rockets up into his hands and make them his own. No distractions. No soap operas. Nobody else to share the spotlight or the burden. "It must be. It must be," Yao said, nodding and grinning. "You have to trust your teammates, but you have to stand out sometimes...I think we're not winning games just by pull-up jumpers." 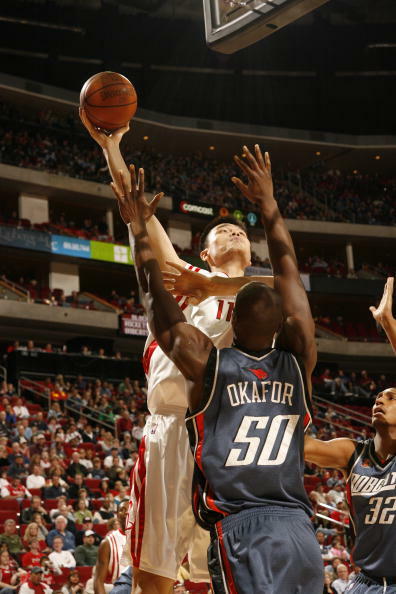 In the past four games, Yao's numbers have crept up. He's averaged 21.3 points, higher than his season pace of 19.8. He's grabbing 12.5 rebounds a game, above his 9.6 for the season. Think for a minute about what it would mean for this team to close the season strong, together and get to the playoffs on a roll. Think about what it would mean for the franchise if they could win a playoff series while McGrady meanders through his desert of doubt and confusion. Think of the options it would give the front office and the boost it would give the locker room in the off-season. This is his team. This is his time. 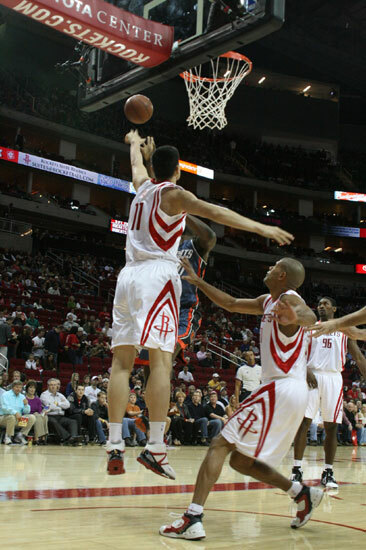 "Yao's the man," said Brooks. "That's what we expect out of him." To pick them up. To take them higher. 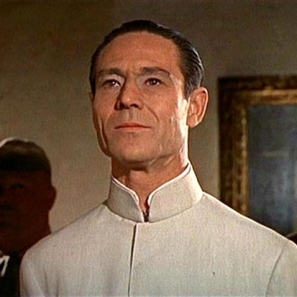 If for no other reason than to let me type boom-shaka-laka-laka one more time. 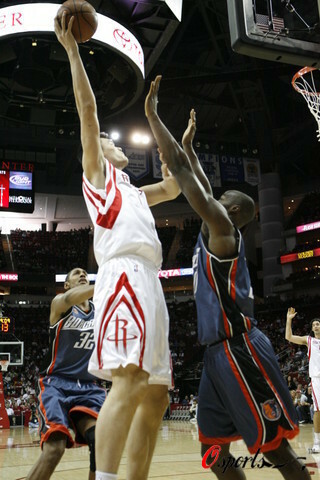 We will watch with interest how Yao and the Rockets does from now till the end of their season. 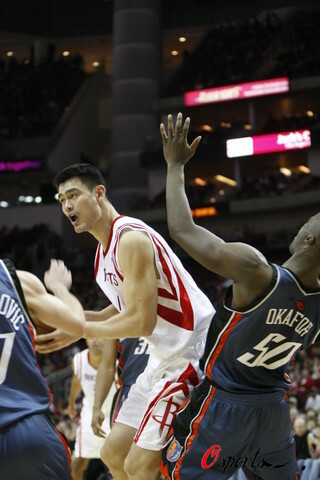 Yao will have to step up if the Rockets want any success. The guy needs to carry the team, and even more so in the playoffs.